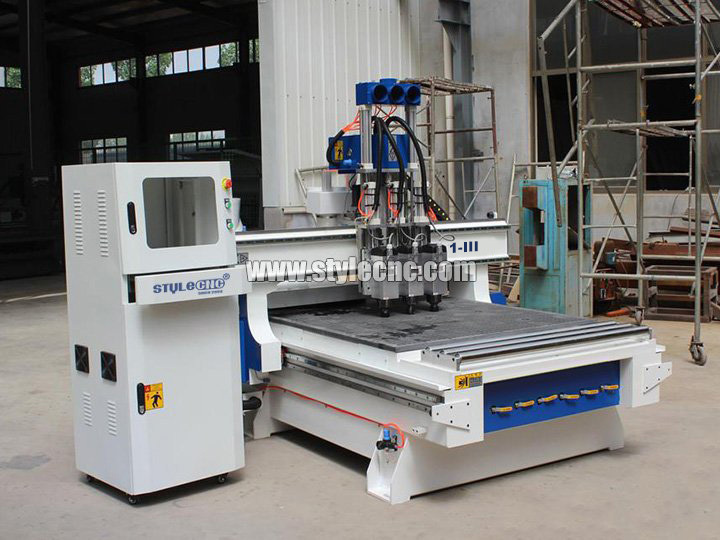 3 Axis CNC Router with X, Y, Z axis and three spindles is mainly used for sign making, cabinet door making and popular woodworking, the three spindles can work at the same time, now the 3 Axis CNC Router for sale with affordable price from a professional 3 axis CNC router manufacturer - STYLECNC. 1. 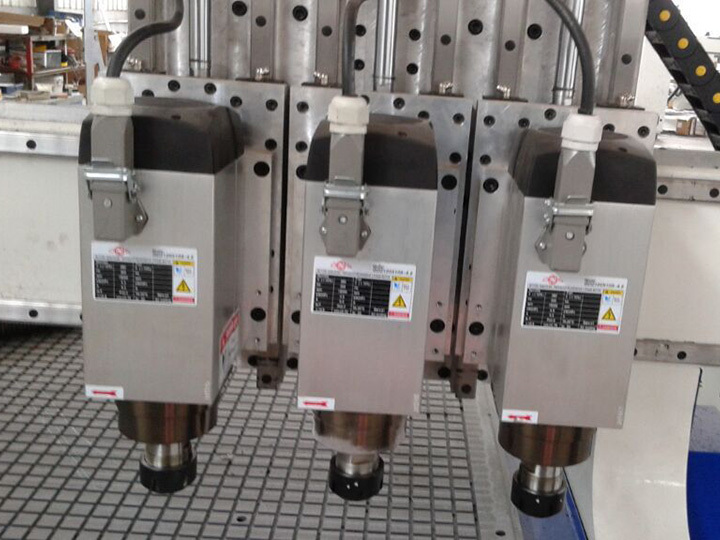 The three-process is smart and economical equipment with automatic tool change. Through the automatic change of three independent electric spindles, the automatic machining of multi-process is completed. 2. The tool change mode is immediate and instant change of the spindle. 3. 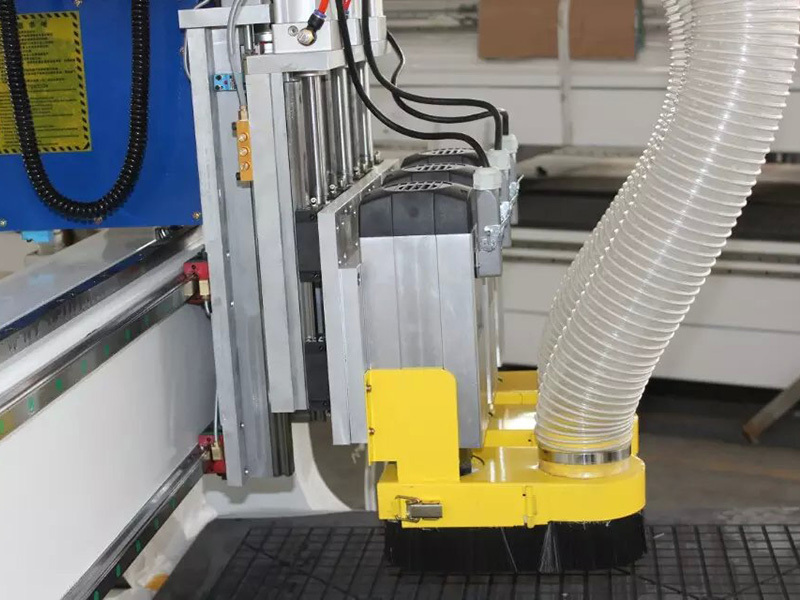 Lathe bed adopts strong welded steel tube to avoid distortion. 4. The high power air cooling spindle is used to achieve precision higher, longer service life, uniform speed, running stable, rapidly change the necessary props at random which can save the machining time and enhance the working efficiency. 5. Square Liner Rail with high accuracy and heavy burthen. 6. The screw rack transmission with high precision, and the servo motor with high resolution and fine mixing, the straight guide rail with high rigidity, levelness and flexible transmission. 7. All processes will be completed after the startup of the tool one time to shorten the tool change and matching time, thus the tool is applicable to the product for which the tool has to be changed for several times. 8. 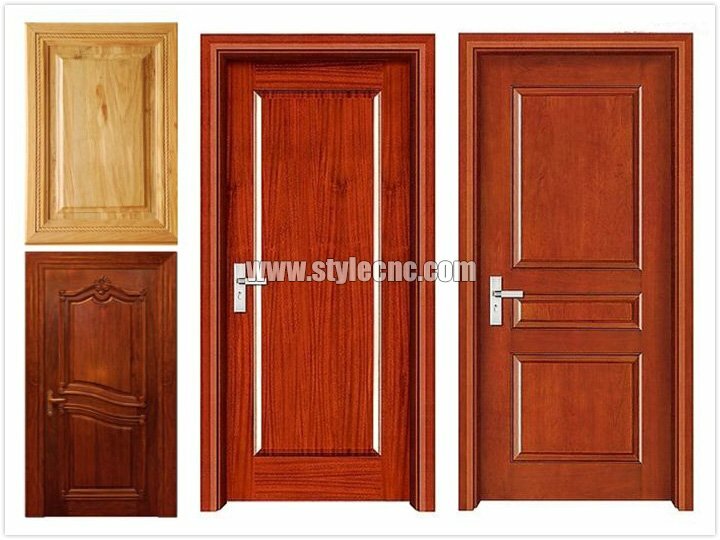 The 3 axis CNC router machine is applicable to produce the cupboard door, solid wood door, computer table, panel furniture and so on, it is used for the works of high-density boards with large area and production, plane engraving, cutting, 3D carving, etc. 1. 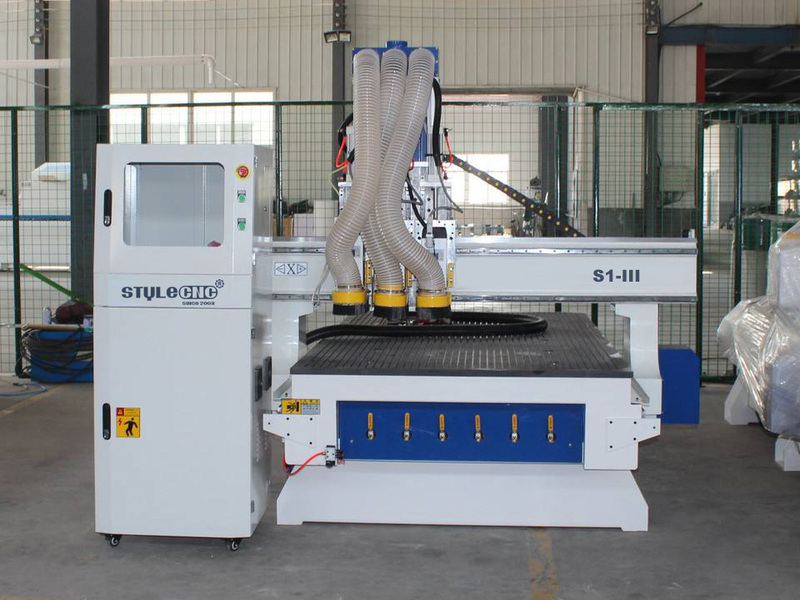 One year quality guaranty, the 3 axis CNC machine with main parts (excluding the consumables) shall be changed free of charge if there is any problem during the warranty period. 6. 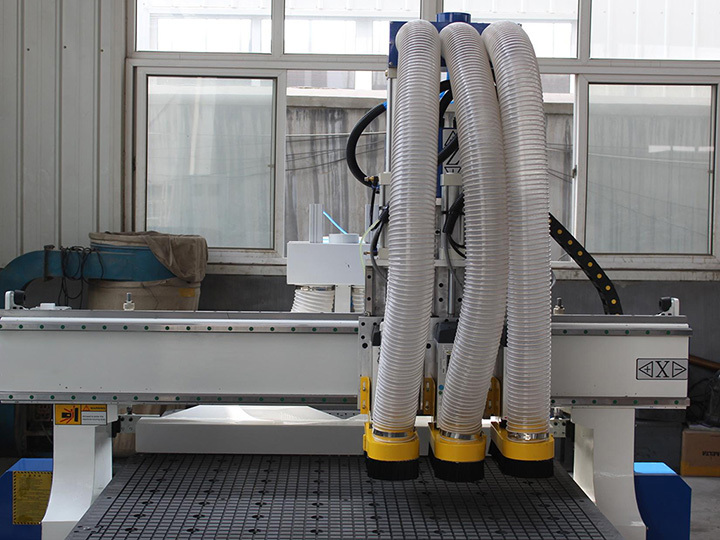 The 3 axis CNC router has been adjusted before delivery. 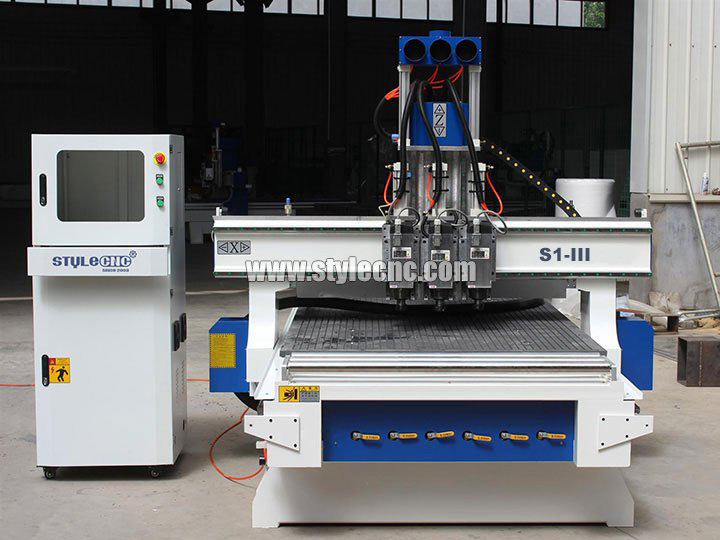 License: The text of "STYLECNC® 3 Axis CNC Router for sale with affordable price " by STYLECNC is licensed under a Creative Commons Attribution 4.0 International License. Worked great for what I needed it for. 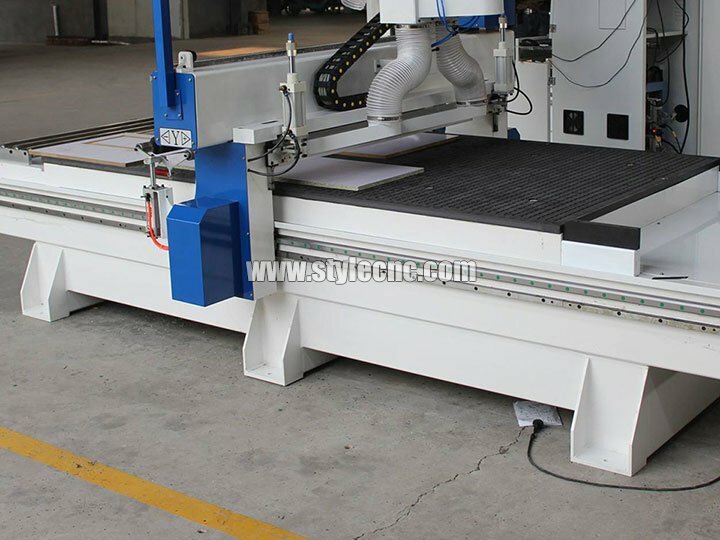 Fit my STM1325-3T CNC router perfectly. All parts needed to operate to the router were included in the kit. Has more functionality than what I needed for my project, which is great for future work. 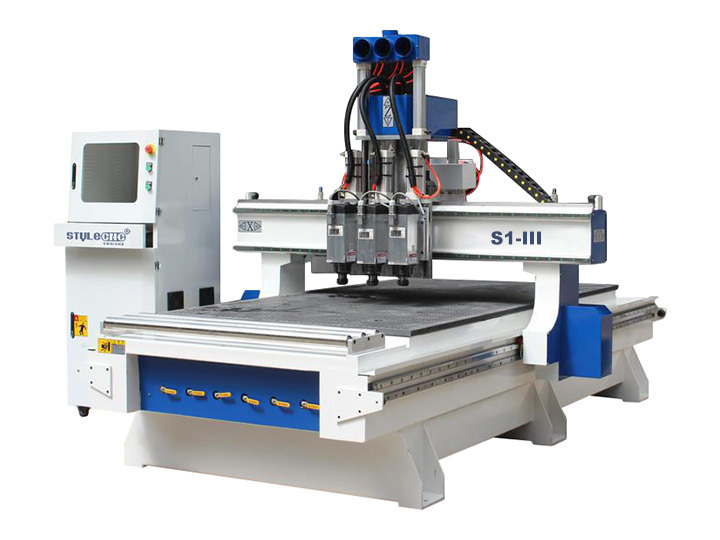 Best option out there for a CNC router machine. The service is nearly perfect. The support from STYLECNC is second to none. I emailed him that I was having trouble with a switch and after they confirmed the problem. They asked for my address so he could send me a replacement! K. Algra from NetherlandsPosted on Mar 21, 2018I have no CNC experience what so ever. After buying this machine, and a few weeks of self-training I am making projects that I can't believe that I did it. I did have a few problems, in the beginning, contacted STYLECNC tech support and with one email from them the problem was solved. Excellently designed structure. The operating instructions are some of the best I ever have seen, usually, other company just provide some vague instructions. The one thing that really stood out for me was the quick response and help I got when I did run into a few glitches, mostly due to my inexperience but the help was immediate. 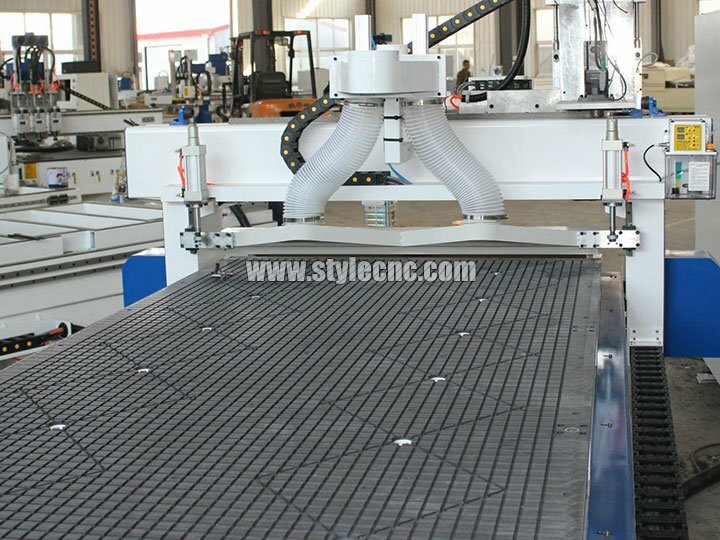 I would definitely recommend this CNC router not just has good performance and price, but also their customer service is perfect. I love my STYLECNC routers (have 3 spindles) Fast, Accurate, Easy to operate. Very well made. 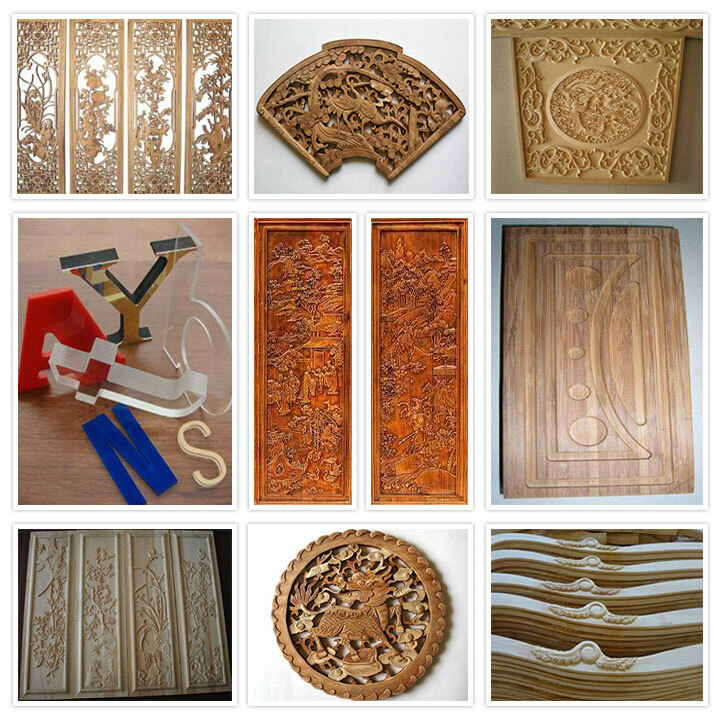 If you want to do great work with your CNC router, go to STYLECNC. Very good service from Bonnie. Recommended! Working well and fast delivery. Great manufacturer.